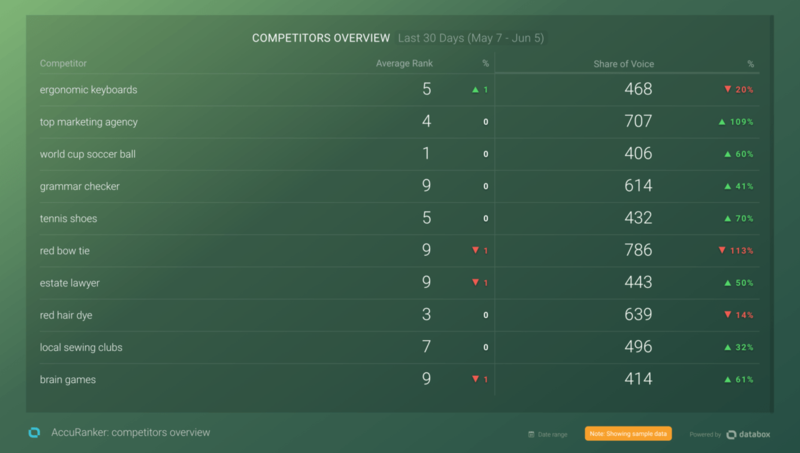 We've made it easier for teams to stay up-to-date on their most important performance metrics. Now, account admins can add multiple recipients to Scorecards so everyone is aware of how key metrics are trending. 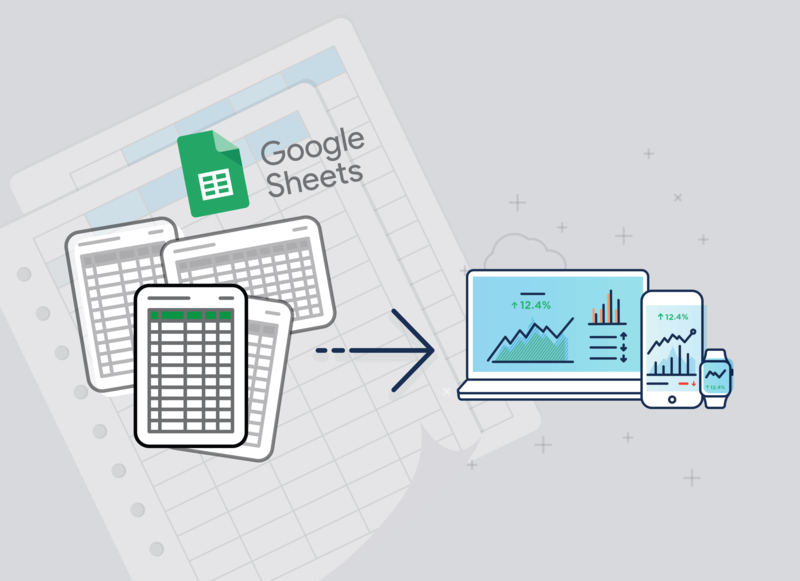 New: The Google Sheets Integration is Live! Over the last year, Google Sheets has been the most requested Databox integration–by far. Today, that integration is now live. Turn your Google Spreadsheets into interactive dashboards that are available on desktop, office TVs, and your mobile devices. The Google Sheets integration is available with all plans that include our Query Builder functionality. If your plan has access to Query Builder, you can login and start using the Google Sheets integration, as of today. The "Databoard Loop" feature gives you the ability to create comprehensive reports out of individual Databoards. Now you can schedule snapshots of such loops with just one click! The new PDF option will combine all looped Databoards in a multi-page PDF that will be attached to the scheduled email. Big updates to the app and dashboard designer (as well as 1,712 new pre-configured Datablocks) make it easier than ever to find and track the most important KPIs. With Databox, we’ve pre-configured 3,000+ of the most common metrics from every integration we’ve built. Just connect any one of these 65 tools, then choose the metrics you want to instantly visualize. But, with these latest updates in Databox, we didn’t just add a significant number of new pre-built Datablocks for every one of our integrations. We also made improvements to help you quickly find and visualize the KPIs that are important to you. Need an easier way to share live dashboards on your website, wiki, or web application? Now, with the Databoard Embed feature, you can share and publish live dashboards on any web page, blog post, wiki page, web application, or intranet portal. The coolest part? Embedded Databoards are fully interactive and live, meaning they’ll update live, wherever they’re published, as the data changes. Now you can visualize your performance data with fewer clicks and in less time than ever before. The new Databox Designer eliminates both limitations – fewer clicks are needed to reorder blocks, resize blocks or add new blocks to an already full Databoard. We’ve re-developed much of the code behind the Designer too, so it’s also much faster now. Data Calculations allows you to combine (add, subtract, multiply, divide) your business performance metrics from any source without a spreadsheet. 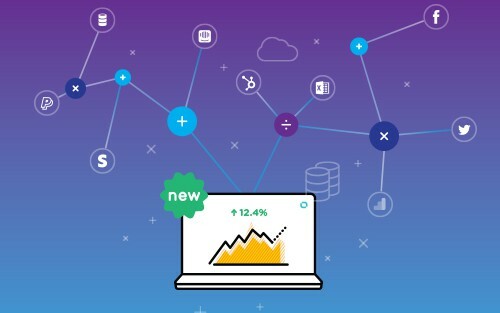 With Databox’s new Data Calculations feature, one of the most challenging aspects of performance tracking has just been made infinitely easier. New pre-defined Datablocks added for Intercom, Drift, Prosperworks, Google AdSense, and 6 others. Part of our ongoing strategy is to add more predefined Datablocks to the Datablock Library, making it easier than ever for you to pull the right metrics and visualizations right into your dashboards, no code or design necessary. Data blocks are accessible on the left side panel of the Databox designer. Simply drag-and-drop the desired metrics into your dashboard and the data, and visualization, with populate automatically. In this update, we have added new predefined Datablocks for Intercom, Drift, Mixpanel, Seventh Sense, ProsperWorks, Marketo, Google AdSense, Intrix CRM, BitBucket, and GitHub. Any metrics you'd like to see in the Datablock Library? We'd love your feedback. Feel free to reach out via help@databox.com and request your metrics. 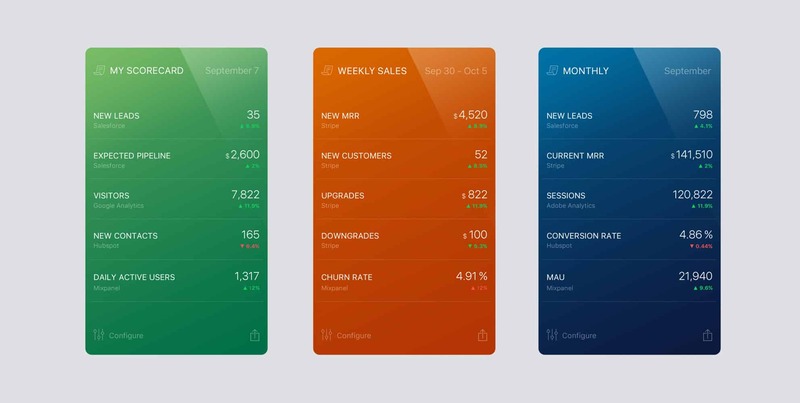 Our Active Campaign, Stripe, Facebook and Pipedrive CRM integrations were recently updated with new metrics. 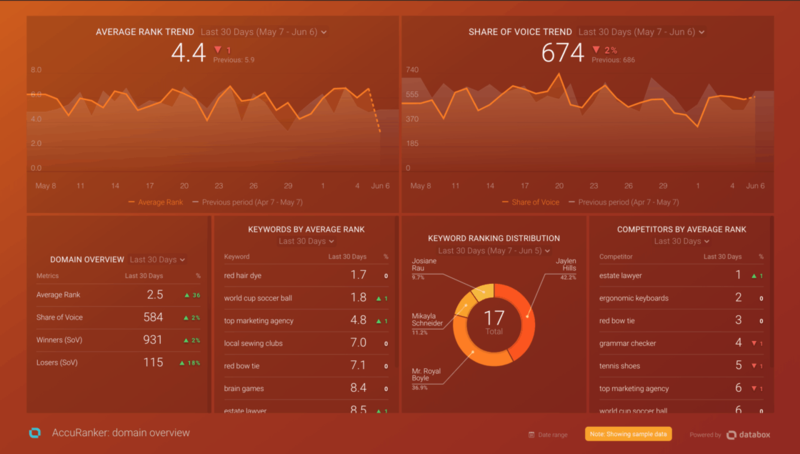 In total there are more than 30+ metrics available for you to build awesome data boards. We love your feedback. Feel free to reach out via help@databox.com and request your metrics. Our continuous strategy is to add more and more predefined data blocks to our data block library. 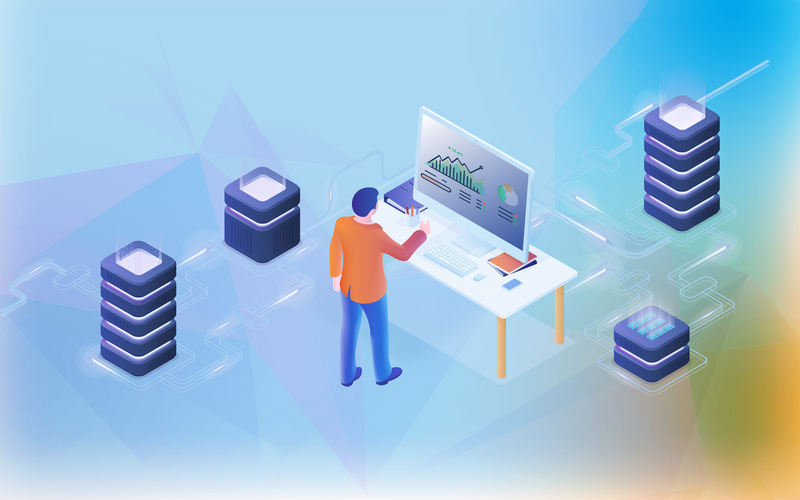 Predefined data blocks are accessible in the left side panel of the Databox designer and will help you to build even more powerful data boards for you or for your clients. 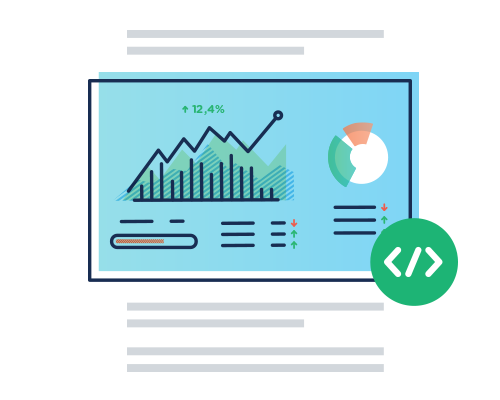 In this update, we have added new data blocks for HelpScout, Adobe Analytics, Active Campaign, Vimeo, Localytics, Xero and Moz. With the Teamwork Query Builder you can now connect the entire Teamwork account rather than just connecting to a specific company. All companies and project can be filtered by dimensions available within the Teamwork account and make it possible to create reports across company/projects. If you’re a Query Builder beginner, here is a help doc to guide you through the tool. The Query Builder is available on our more advanced plans. If not available in your current plan, feel free to reach out to help@databox.com to enable the Query Builder for a test period. Our CallRail integration enables you to access 47 standard metrics and variety of date ranges. To access even more metrics from CallRail we have built the CallRail Query Builder. The Query Builder allows you to access standard and custom metrics from your CallRail account, filter by specific parameters and choose from a variety of date ranges. Our continuous strategy is to update our existing Databox integrations to the Default list of date ranges. Default date ranges enable Databox users to dive into historical data and build more powerful data boards. Default date ranges are already supported for the majority of our existing data sources, starting with HubSpot Marketing, Google AdWords, Facebook Ads and more. In this set of improvement, we've added default date ranges to Adobe Analytics and Youtube integration metrics, for Facebook Ads and Salesforce we've updated the Query Builder date ranges. For the Salesforce Query Builder also All time date range is supported. Default date ranges: Today, Yesterday, This week, This month, This quarter, This year, Week to date, Month to date, Quarter to date, Year to date, Last 7 days, Last 14 days, Last 28 days, Last 30 days, Last 12 months (Year), Last week, Last month, Last Quarter, Last Year. In May we have added 20+ new metrics to our existing integrations, staring from Shopify, HubSpot Marketing to Youtube. We love your feedback. Feel free to reach out via help@databox.com and request your metric. With our new AccuRanker integration, you can analyze your tracked keyword performance and compare them against your competitor's domains added to your AccuRanker account. The easiest way to get started with analyzing your keyword performance is by using our free plug-and-play templates. We have prepared 3 templates just click on the images below to get started. 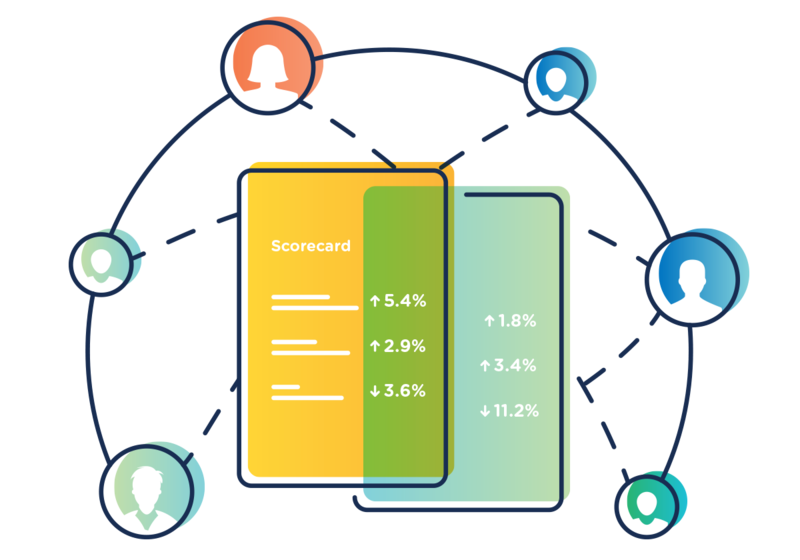 Scorecard sends you updates on your most important KPIs through email, mobile push notification, and/or Slack every day, week, or month. 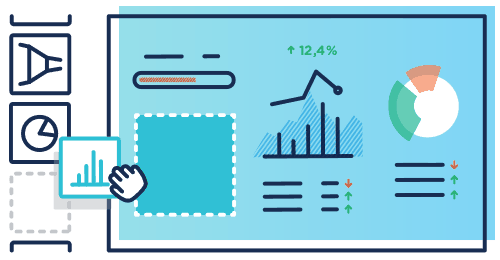 We’ve made some pretty big updates that allow you and your team to take a more proactive approach to improving the business KPIs that matter most. The waiting is finally over... A multi-column table has been one of the most requested features from our users. Today, we present you the Advanced table, which allows you to add up to 10 metrics. You can find the new table under "Visualization types" tab in the Databoard Designer. Check it out. Let us know what you think. With our new certification programs, the “easiest to use” data visualization tool has made monitoring, improving, and reporting on performance even easier. Click the badge icon in the top right navigation of Databox. Here you’ll find the list of tasks needed to complete your current level, as well as the overall percentage you’ve completed.